He comes every Tuesday night, and creaks open the door.... and he slowly apporaches the counter!!! and then... and then.. HE GETS YOU!! The reason he has a spatula hand is because he accidently cut it off!!! 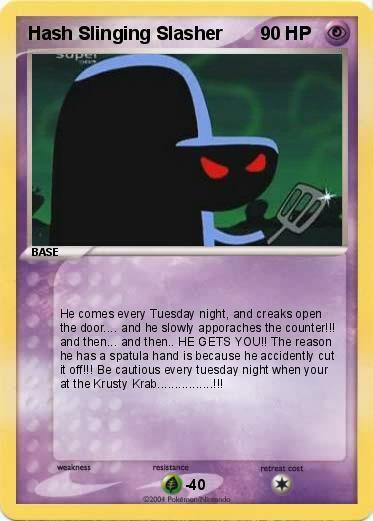 Be cautious every tuesday night when your at the Krusty Krab................!! !